A couple of weeks ago, I wrote about the bacon font by Henry Hargreaves, but it's his "Food of the Rainbow" series that's piqued my interest this week. 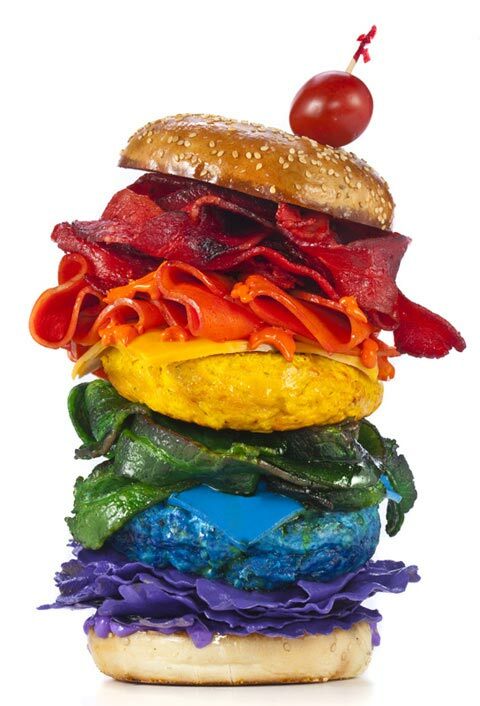 The images each feature vibrant arrangements of foods like pancakes, sky-high hamburgers and ice cream. Check out another photo from "Food of the Rainbow" below. 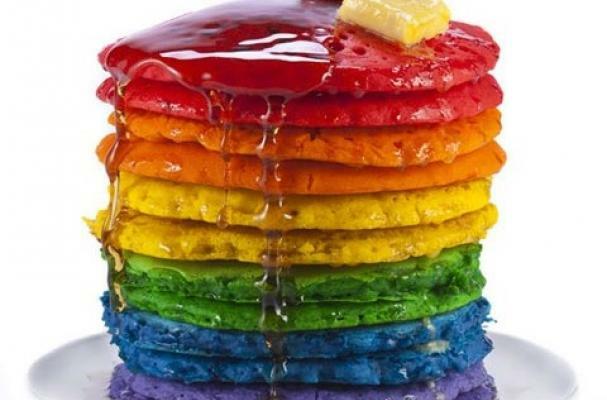 If you're still hungry for rainbow-hued foods, see this Tumblr Tuesday pick.